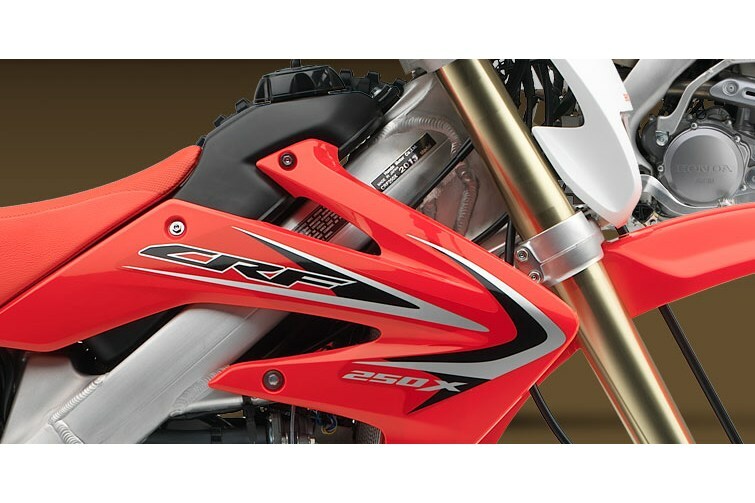 Using technology from our National-Championship-winning MX machines, the CRF250X is powered by a four-stroke Unicam® engine specially modified for off-road riding. 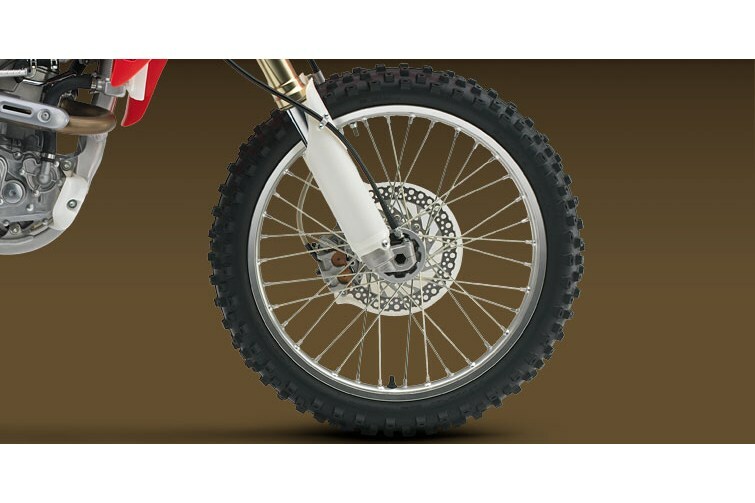 We’ve also tuned the suspension for the trails, and given the rugged transmission wide-ratio gearing to handle conditions in both real-world riding and closed-course racing. Best of all, its electric starter puts you on the fast track with the push of a button, and is a godsend on rocky trails or gnarly uphills. 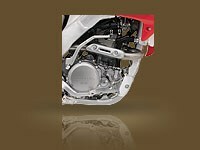 The closer you look at a CRF250X, the more you’re going to like it. 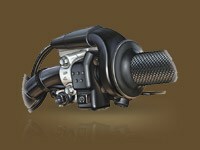 And that’ll go double when you actually ride it. 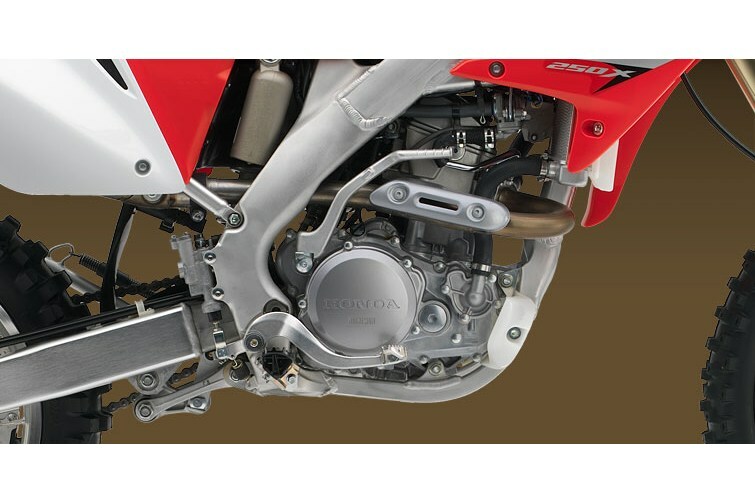 With its Unicam® cylinder head, this liquid-cooled four-stroke puts out loads of power over a wide rpm band for maximum trail performance. 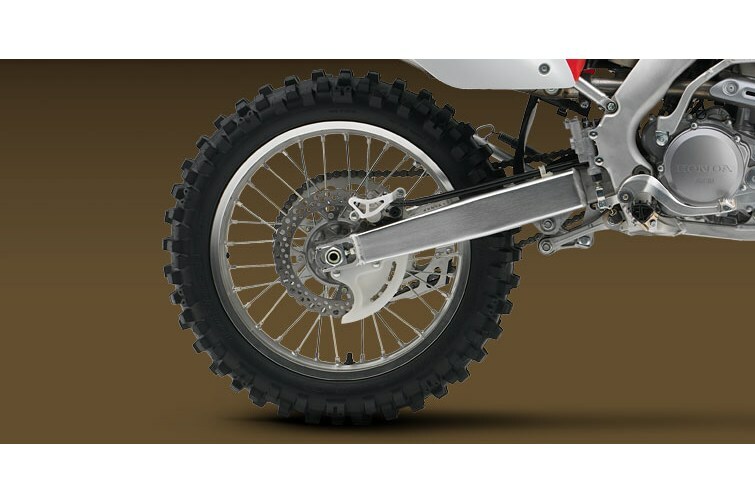 Our push-button electric starter offers all-around convenience, whether you’re starting out on your ride or quickly restarting in tough conditions.